Under the guidance of the Peabody Conservatory’s distinguished brass faculty, Peabody students go on to careers as recitalists, soloists and teachers and win positions in prestigious orchestras and ensembles throughout the world. and a wide variety of small chamber groups coached by members of the faculty. In addition, Peabody students are often engaged as substitutes in the Baltimore Symphony Orchestra and are regularly employed by other metropolitan and community orchestras, opera companies, chamber groups, and choral ensembles. The Baltimore/Washington area is rich in opportunities to hear and perform symphonic, jazz, theater, chamber, operatic, and choral music of all kinds. 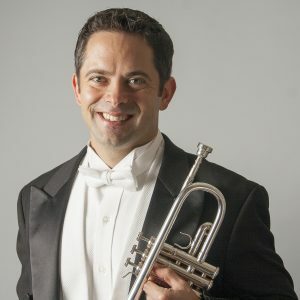 Hailed by the New York Times for his playing of “easy brilliance” and by the Washington Post for his “engaging legato touch,” David Bilger has held the position of principal trumpet of The Philadelphia Orchestra since 1995 and will be joining the Peabody Conservatory at a visiting artist starting fall 2019. Velvet Brown enjoys a professional career as an international soloist, chamber ensemble performer, recording artist, conductor, and orchestral player. 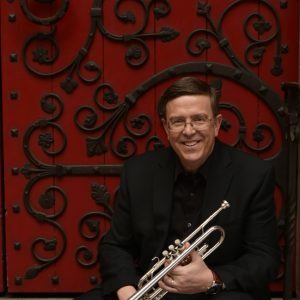 Called “quite simply, a superstar of the trumpet” by conductor JoAnn Falletta, Joe Burgstaller has captivated audiences throughout the world with his dazzling virtuosity, sensitivity, and engaging personality. 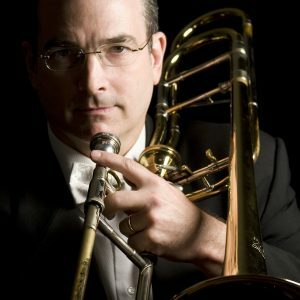 Bass trombonist Randy Campora joined the Baltimore Symphony Orchestra in 1985 during his third year of undergraduate studies at the Peabody Conservatory. 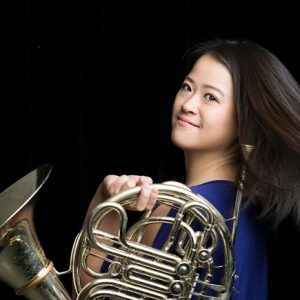 Wei-ping Chou has been praised by the New York Times for her "consistent, strong" and "smooth and full" horn playing. Chou was the first and only horn player in Juilliard School history to be awarded the Artist Diploma. 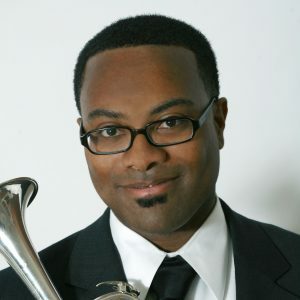 A native of Austin, TX, Billy Hunter has been Principal Trumpet of the Metropolitan Opera Orchestra since 2004. He enjoys a versatile career in the classical music world that includes orchestral, chamber, and solo performances as well as several educational and outreach initiatives. 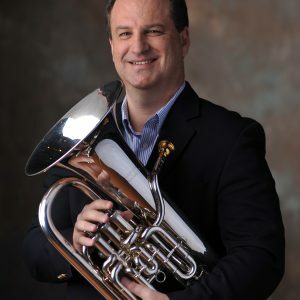 In October 2004, Steve Kellner retired his 25-year career in military bands, including eleven years as principal euphonium of the U.S. Marine Band in Washington, D.C.
James Olin was born in Schenectady, New York and began his musical studies on the piano at the age of five. By high school Olin had performed professionally within the diverse musical genres of classical, jazz, rock, blues and country-western. Abel Pereira was appointed principal horn of the National Symphony Orchestra in 2014 by Music Director Christoph Eschenbach. 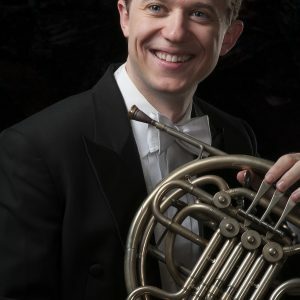 Anthony Prisk joined the Philadelphia Orchestra as Second Trumpet in August of 2013 from the Houston Symphony, where he performed for 11 seasons and the New World Symphony for 4 seasons. In the past 20 years, Prisk has played internationally with several orchestras and music festivals. 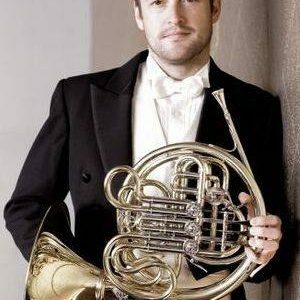 Robert Rearden joined the National Symphony as second horn in 2016. He previously served as principal horn of the Florida Orchestra from 2010-2016. 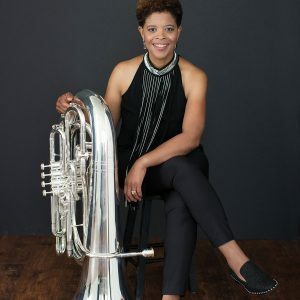 A native of Roseville, MN, Denise Tryon joined The Philadelphia Orchestra in 2009 as fourth horn. An accomplished solo performer, Tryon has performed recitals in Sweden, Norway, Poland, Japan, and the United States.